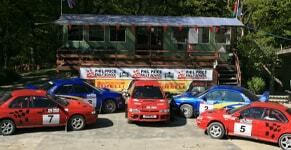 Why Book Our Epic Driving Experiences? Tired of being stuck in hot traffic, waiting for the red light to change? Why not satisfy your need for speed with our One Day Intense Course this summer? Price Rally School can give you the thrill of a lifetime with our incredible driving experiences, allowing you to channel your inner rally driver. Our driving experiences are packed full of action, with plenty of time spent driving on our stunning rally stages overlooking the rocky Welsh landscape. Excellent value for money, we promise plenty of time in our Subaru rally cars and as little time spent on theory as possible! 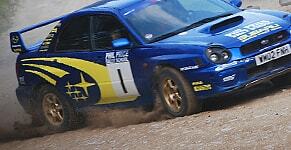 A brief history of rally driving. The term ‘rally’ in relation to motorsports can be traced back to the first Monte Carlo Rally in January 1911, although actually racing happened much earlier, to 1894, when steam powered vehicles took place in races in France and other European countries. Rally driving was extremely popular at the beginning of the 20th century when we were testing these new, dynamic machines and everything that moved fast was exciting. Today the World Rally Championship visits nearly all continents, estimated to be second only to Formula One in terms of profitability. When you book one of our driving experiences, you’ll benefit from some of the most passionate instructors imaginable; we’ve built up an excellent reputation over the past 25 years and still have a strong love for what we do! Book one of our driving experiences today!